Here's a fun way to "change" up your campaign! This Diaper Bag includes a colorful changing pad and extra built in compartments. 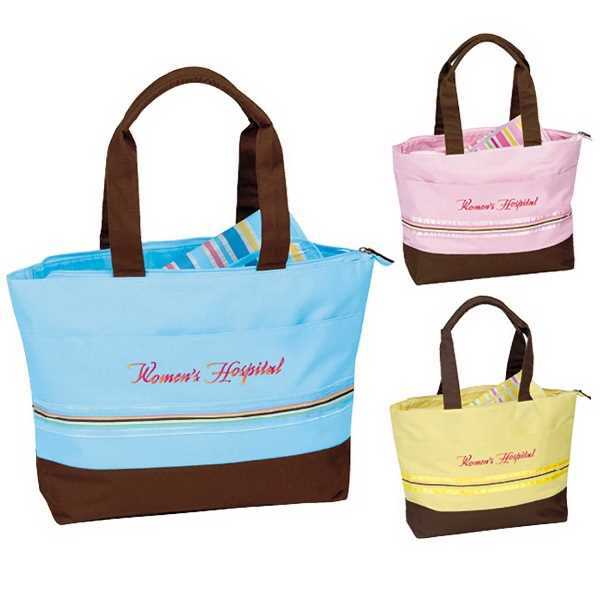 Made of 600 denier polyester; this bag has long 22 1/2" x 1 1/2" long handles for easy carrying. It includes a large main compartment with zip closure and striped changing pad in matching color. Add your logo to this 18-3/8"w x 12"h x 5"d bag. We offer good value and 4 color process. Order yours today! Size: 18 3/8 " x 12 " x 5 "